We recently bought kayaks (If you follow me on Instagram, I'm sure you are already sick of seeing my pictures of it!) I've been getting a lot of questions lately of where to go or how to do it! Realizing not everyone has kayaks or canoes, but float devices seem pretty accessible to most, here is three of the top places to get into the North Saskatchewan River. Bonus to this location: the dogs you get to see and pet along the way. Based at the bottom of Rabbit Hill Road. Park in the parking lot and walk out to ward the water and there is a lot of space to get in from there. Make you way as if you are heading to Fort Edmonton Park, and before you head into their parking lot, you can park underneath the Quesnell Bridge. There is a bit of beach space, but mostly it's from a concrete pad. If you park on either side of the Henday at the bridge between Terwillegar and Lessard exits, there are trails that will take you all the way down to the water. You can also park your car at 321 Heath Road and follow the walking path down. This will be a longer walk however. If possible, I recommend buying a dry bag like this one from Amazon. Keeps your stuff (including your phone dry) and because it's made for this you can attach it to the side of the float so it doesn't take up float space. 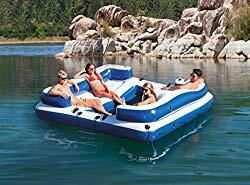 Grab some friends and tie your rafts together or go in on a big one together! I describe myself often as an “urban semi hippie”. What I mostly mean by this is that I live in the city and see myself as sort of modern but with “hippie” values. I try to take care of my body, I use a lot of holistic medicines and treatments and believe in trying to save the planet anyway I can. I’m not perfect by any means but I believe in “do what you can, when you can”. So when I saw that Sustainaval was coming to Edmonton June 7-10 I was VERY excited. I LOVE carnivals and expos, and the fact that it’s a carnival trying to make a positive impact on the world? Well EVEN BETTER. Sustainival is more than an amazing day at the carnival, it celebrates the power of renewable energy to fuel exhilarating rides, games, delicious carnival food and community fun! Sustainaval is powered entirely by solar, wind and biodiesel produced by vegetable oil. How cool is that? Sustainival is a unique experiential public education platform that celebrates energy literacy, sustainability, and the latest innovations in clean-technologies, all while having a blast at the midway. There are the usual rides like the Train, Toon Town, Swings, Ferris Wheel, kids rides and a ton more. You can check out all the rides HERE. In addition there is an educational aspect to the carnival. There is something called the Green Beast Eco Challenge. A fun race style event finding Eco clues all over the midway. Admission to the midway is FREE as well Come and check it out and play some games maybe? 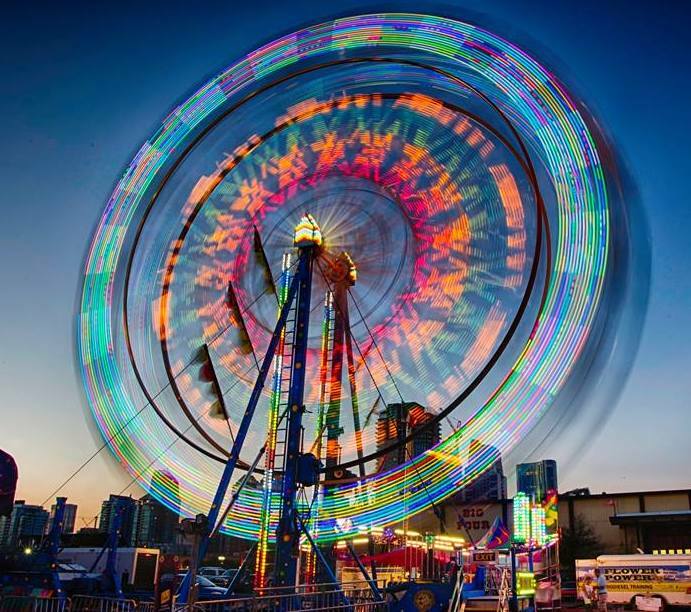 If you are a rider, you can get a Day pass to ride all the rides!buy your tickets in advance for $30 here: https://www.eventbrite.com/e/edmonton-sustainival-2018-tickets-42653960143or at the door for $45. Enter to win 2 tickets to attend Sustainaval on my Instagram and Facebook! Win Two Tickets to the 2017 Home and Garden Show! I love checking out the Edmonton Home & Garden Show for ideas. About this time each year spring fever hits me and all I want to do is be outside gardening. Sadly the current snow here in Edmonton makes that seem far away. BUT we can head to the Home and Garden show for when Spring FINALLY makes it here. Since I am a bit of a waste reducing nerd I'm pretty excited to see the Upcycle Challenge happening for Habit For Humanity and checking out the Tiny Home! What things do you like checking out at the Edmonton Home & Garden Show? Leave a comment below to be entered to win 2 tickets to check out the show and then you can head over to my Instagram and Facebook pages to enter there as well!